Have you ever taken a naked picture? If you haven’t, you are missing out on a liberating experience. Today, I was challenged to Go Naked for a good cause. Believe me… it’s not what you’re thinking. Tsk-tsk. As you can see, I accepted the challenge by displaying all the natural beauty the good Lord gave me. All I had to do was wash my face to remove any traces of make-up. How easy was that? Too easy! 1. My lips no longer shimmered. 2. My cheeks no longer blushed. 3. My black lashes were now salt and pepper. 4. My eyes no longer popped without its shadow. On that note, I would like to challenge you to Go Naked. Will you accept the challenge? Copyright © 2014 Kelly Stone – All Rights Reserved. 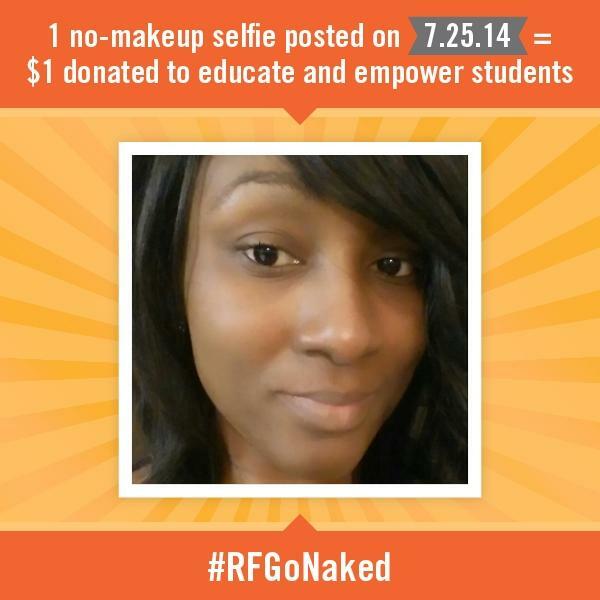 RFGoNaked content copyrighted by respective author.